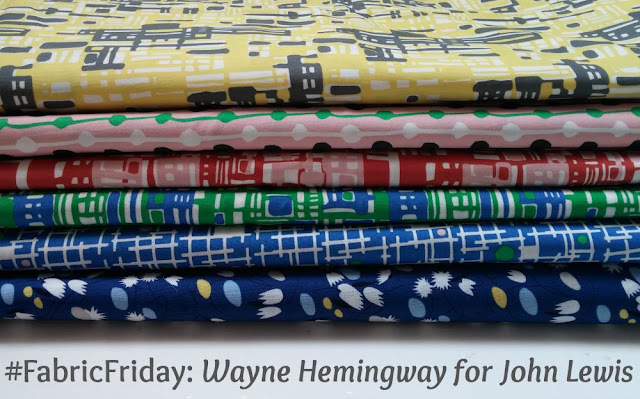 Due to unforeseen circumstances I've not been able to wish you a happy #FabricFriday for two whole weeks...so I'm back with some gorgeous fabrics for sale! You can browse my prints for sale below and buy them through my Etsy shop. Lengths measure from 2 metres to 3 metres and all pieces are 140cm wide. They're 100% cotton poplin and perfect for dressmaking...especially if you're thinking of taking part in Heather B's Sundress Sewalong or are on the search for an authentic look for your next #vintagepledge make! If you have any questions you can contact me through my Etsy shop or leave a comment below! I totally had one of those moments where I saw a photo in the feed from this post and thought, "That's amazing but it's Friday so it's going to be something vintage from Marie's stash nooooo woe is meeee" and then it isn't! I'm totally going to look at your Etsy shop now! !